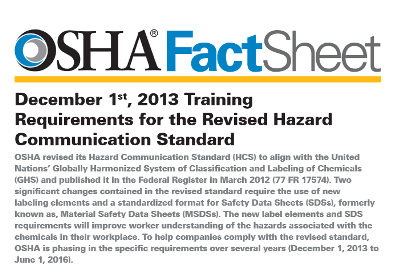 The deadline for employers to train employees on the new GHS system is December 2013. It is our pleasure to provide you with the essential links to the materials you need for providing the training your employees will need. 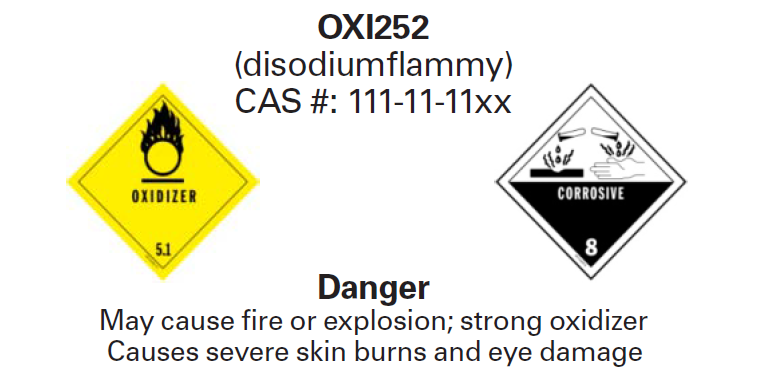 And just a note, the GHS pictograms do NOT replace those diamond shaped DOT labels we’re also used to seeing. By the way we posted on this originally in March of 2012. This entry was posted on Wednesday, October 16th, 2013 at 3:57 am and is filed under Front Office, Shop Floor. You can follow any responses to this entry through the RSS 2.0 feed. You can leave a response, or trackback from your own site. This training course is aimed at the worker or handler of hazardous chemicals as well as introduces them general awareness training program under OSHA 29 CFR 1910.1200. The learners will leave the classroom with the general awareness of Globally Harmonized System (GHS) and how to apply it in their work place. Thanks a lot for the update. Canada has also published WHMIS 2015 adopting GHS for workplace chemicals this week.